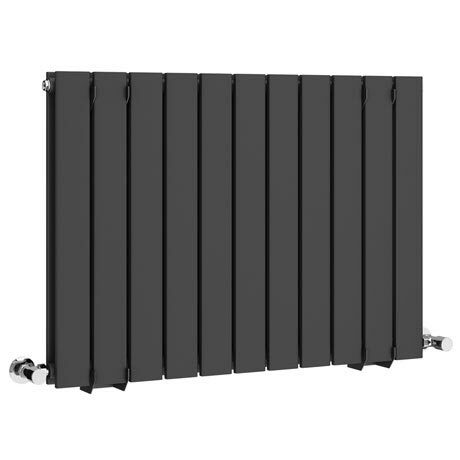 A stunning minimalist horizontal flat panel designer radiator in a modern eye-catching Anthracite finish. The Urban range of slim elegant radiators are manufactured using the finest materials and offers outstanding heat output whilst the sizes available make it suitable for any sized bathroom. Q. How many watts and BTU's is this radiator? Hello, each size varies, for the 600 it is 3012 BTU and approximately 870 watts, the 832 size is 4145 BTU and approximately 1200 watts and the 1212 size is 6030 BTU and approximately 1750 watts. 3 out of 7 found this question helpful. Great quality product lovely style. Very good quality highly recommend!